17/04/2019: Access: if your driving using sat nav, add at least 10min to ETA, the roads are single track with passing places. Native drivers are a mix of reasonable and nasty, and some non native drivers will make the journey v interesting. 12/04/2019: A perfectly formed restaurant no bigger than some people’s front room. The surroundings were very unpretentious and the whole place gave an atmosphere of comfort and welcome. 16/04/2019: We stopped here after a wander along the beach. Nice selection of cakes, tea and coffee. And they had cakes to cater for those of us who were dairy intolerant. 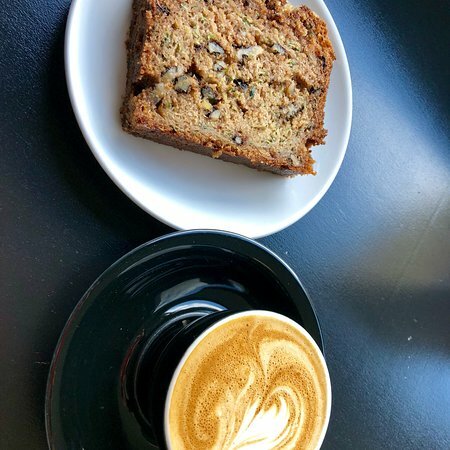 12/04/2019: Super reliable cafe for breakfast or lunch. Friendly service and lovely baking. There is even a garden out back to enjoy the sunshine. 16/04/2019: Second time here, first time was bad, this time even worse! 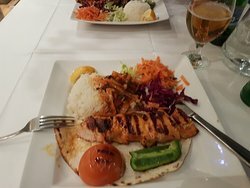 19/04/2019: Great restaurant and atmosphere, couldn’t fault the food! All of the courses that we ordered we really enjoyed. The service was really good with all the staff being friendly and helpful. Very close to the city centre. Would absolutely recommend. 19/04/2019: Great food, service and comfortable warm environment, so what more do you need. Booking is a must due to popularity and if coming by car, allow time for parking as not much nearby. 07/03/2019: We stopped here by suggestion of the Wild Scotland book, and what a great stop! We sipped on the BEST HOT CHOCOLATE plus an amazing belgiun chocolate GF brownie while admiring the seascape from their panoramic window. This is a MUST stop. 19/01/2019: We went out of our way twice to have the hot chocolate at Single Track Cafe...ON THE SAME DAY! That might just be an indication of a bigger problem (ahem, chocoholics), but it was in our minds the best hot chocolate we'd ever had. And of course, the best thing on a cold blustery day like the day we were out to hike the Quairang. One to warm us up before and another afterward. 18/04/2019: We dropped in for dinner - no booking, and were a bit concerned that we would not get a table - little did we know that there was an upstairs! Perhaps a bit out of the way and currently (April 2019) 'hidden' by some rebuilding works nearby it would be easy to miss this restaurant. It would be a pity! The menu is quite rich in its reach with a 'specials' board (on the night) that was equally tempting. We had mushroom linguine and a 'vegan' risotto, the latter of which had that tinge of chili/pepper that could so easily be overpowering, but which, here, was just right. A panacotta was also excellent. Well served, friendly waiting staff, nice atmosphere (especially if you like Adele and Michael Buble as the background vibe). Very reasonably priced and would recommend, but suggest booking! 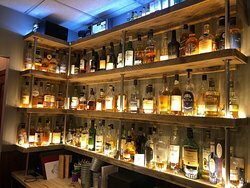 18/04/2019: A trip to Cafe Eighty2 is always a pleasure and an absolute must when I visit family in Drumnadrochit. 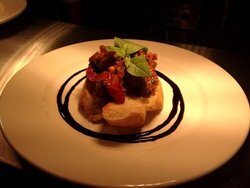 Dannii and her team work incredibly hard to cater the homemade menu for all dietary requirements. 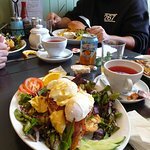 The vegan breakfast is an absolute must have, as well as the fresh juices. As an absolute coffee fiend, I can say that the coffee is great. 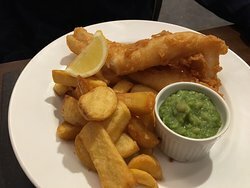 11/04/2019: We had a really lovely family lunch at Cafe Eighty2, the food was incredible, all homemade down to the baked beans, and the service very friendly and welcoming. We especially loved the little environmental touches such as metal straws for the kids , and the gorgeous vintage-y feel to the place too. The log burner was on to make it all extra cosy too. Can’t wait to go back! 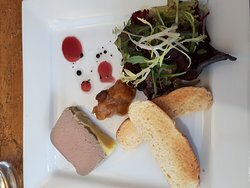 14/04/2019: Delicious chicken liver parfait with delightful oatcakes, onion marmalade and salad, cauliflower and butternut squash soup, followed by pan roasted salmon with crushed potatoes, sun-dried tomatoes and olives with spinach and a mussel cream sauce 👌 Superb! 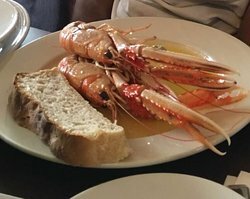 07/04/2019: Fabulous Sunday lunch with choices from Sunday menu and the regular menu. Very good service without being over fussy and quick delivery of the food. Worth making a reservation as it was very busy but we were not rushed for the next diners. And the food was really good! 14/04/2019: The Wee Puffin was so warm and cozy and the food was so delicious! The host and proprietor and by all appearances the sole waiter was very welcoming and friendly. The food was very fresh and well prepared. The deserts were outstanding! 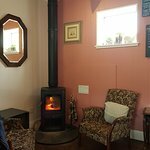 Would highly recommend this quaint little gem in Grantown-on-Spey! 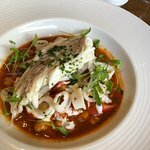 16/04/2019: A wonderful place - quality food, friendly, understated atmosphere, traditional recipes, thoughtfully and imaginatively put together and courteous, helpful waiting staff. We loved it! 19/04/2019: My first visit to Aspendos and very impressed. The restaurant itself is very attractive. We called at lunchtime when it was quiet but I can imagine in the evenings there would be a great atmosphere. 17/04/2019: went there for a birthday treat and the food was very good we had the set sharing starter and picked our own mains very tasty. It is very suitable for vegetarians . The only downside the drinks are expensive and my sister-in-law had a voucher for 20% off the food bill and when we checked later they had only taken about 15% off so please check your bill. 14/04/2019: What an excellent place with fantastic views. Food & service first class!! 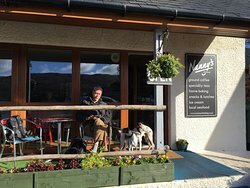 Plenty of parking and outside benches to enjoy the sunshine with our dog. Good wifi too. 17/04/2019: We came here for an evening meal and were surprises we needed to book as only one table left. Ate here in the evening, warm ciabatta, monkfish and chorizo starter (fantastic sauce - also available as a main course - would thoroughly recommend, my daughter had the hummus - home made and really lovely taste. 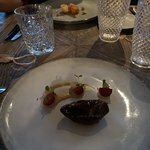 Main courses were the venison steak again, thoroughly enjoyed this and my daughter had the duck with gin and berry sauce - she loved it so much she asked for the recipe! My wife had the bread crumbed haddock all lovely. So full up. Would thoroughly recommend. Service was friendly as well and a nice bright atmosphere. 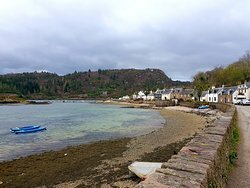 13/04/2019: Stopped off in Plockton on a random drive out from Lochcarron, we called in for some lunch with our two young children. The staff were very friendly. We ordered our food from the daily specials and main menu. The food was exceptional and worth every penny. We bought some cakes from the front of house to enjoy later, our kids loved it there. If we are ever back in the area again then we will definitely be calling in. 13/04/2019: We had an outstanding experience at this restaurant. A laid-back, welcoming place yet still elegant fine dining and drinking. Such a genuine welcome from the owner/bartender and other staff (including when we realized the wine expert was his daughter!) with excellent advice and friendly conversation. We whiled away three delightful hours at our lovely, well-appointed table and would have given it high marks even if it hadn't also surprised us with such good value (and beautiful location). I promised I'd be singing its praises, and hope this post does the place justice. Wonderful! 13/04/2019: As a vegetarian with coeliac disease, I'm aware I'm not the easiest to accommodate. 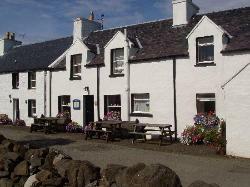 My family had booked lunch at Urquharts whilst we were visiting the area. I'm pleased to say I enjoyed one of the best lunches of my life here and the staff were so knowledgeable and happy to cater for my allergy. I had the goats cheese salad as a main and it was quite honestly the most delicious food I've had in a long long time! My other family members raved about how great their food was and we all thought our waitress was really friendly and attentive. The one thing that I feel could be improved is the signage and access from the street, other than that, I would definitely recommend Urquhart's to anyone visiting Inverness.